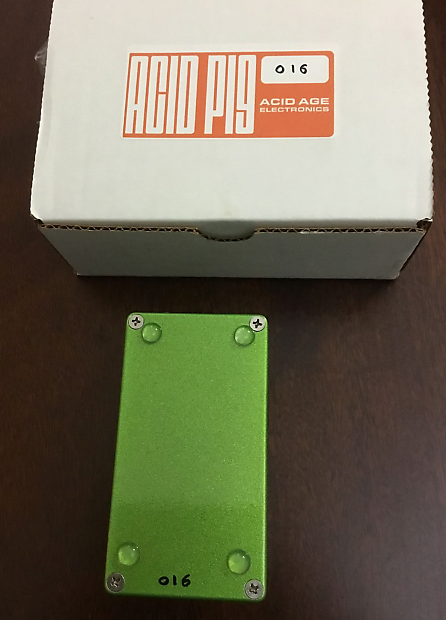 What we have here for your consideration is a gently used Acid Age Electronics Acid Pig Pedal. 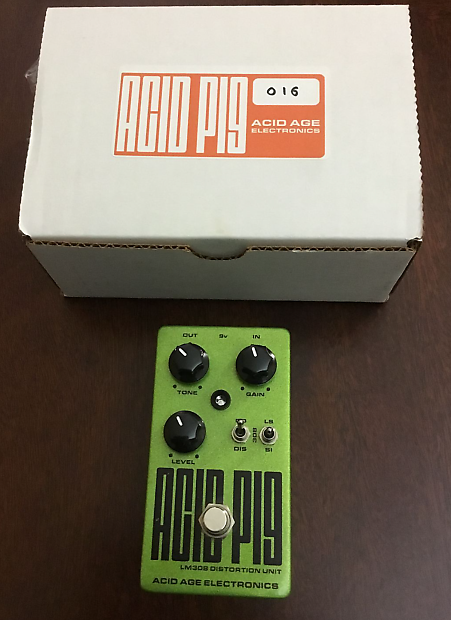 This ACID PIG uses the legendary LM308 distortion chip. It is essentially a smaller and slightly simpler version of the Earthbound Audio Iron Pig. The ACID PIG takes the classic 80's LM308 op-amp distortion sound and expands upon it with better low end presence and the ability to dial in chunky overdrive sounds all the way to intense saturated distortion.